The Hellenic Republic Asset Development Fund privatisation agency has accepted an ‘improved financial offer’ from FS Group-owned train operator Trainose for EESSTY, the rolling stock maintenance business which was spun out of the former state railway OSE. HRADF has made a number of attempts to sell EESSTY under a privatisation programme which began in 2013. Despite deadline extensions, the national train operator which FS Group acquired last year submitted the only binding offer. Completion of the sale is subject to approval from the Court of Auditors. Announcing its decision to accept the offer on July 3, HRADF said this would ensure an ‘upgraded role’ for EESSTY and the further development of its maintenance activities. 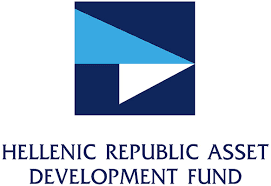 Investment Bank of Greece and Kantor acted as financial advisers to HRDAF, with M&P Bernitsas and Hogan Lovells as legal advisers and Hogal Lovells as technical adviser.